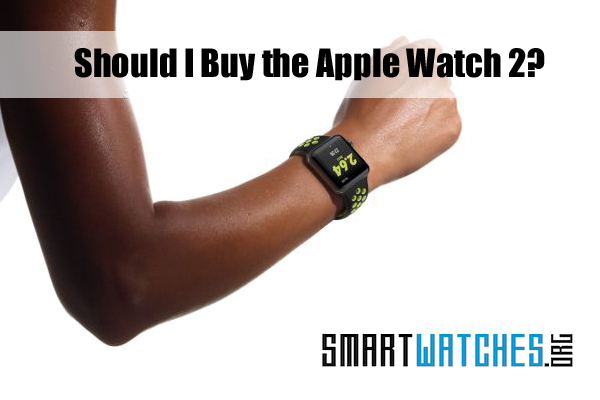 Home > Apple Watch > Should I Buy the Apple Watch 2? You can head to Apple’s store – or website – right now and buy the Apple Watch 2 if you want. 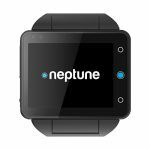 There’s no waiting period, and there’s no reason you can’t walk out of the store with it on your wrist. But what if you already own the first Apple Watch? Is there any reason to upgrade? Are the new features worth spending all that money again? These questions are easier to answer when they’re about a smartphone, because you use them more. That’s not to say you won’t use your Apple Watch – obviously you will because you’ll be wearing it every day. But it’s not the type of device that needs a huge performance update often, like a phone. What if you never bought the original? Is it worth jumping onboard this time and getting yourself a shiny new Apple Watch Series 2? We’re going to explore this from every possible angle, to help you decide if you should buy the Apple Watch 2. Apple Watch 2: What’s New? To be perfectly honest, the appearance and build is pretty much identical. There are slight changes, but if you already the Apple Watch you won’t notice a difference in the new one. This is nothing new for Apple’s products. The changes in appearance between each iteration are usually minimal. But there are still new features worth taking a look at in the Apple Watch 2. 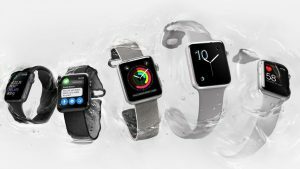 For starters, the Apple Watch Series 2 is waterproof – while the original model is not. It can withstand a depth of up to 50 meters or about 164 feet. So, before you ask, yes you can take it swimming. It will be safe in the pool and in the open water of the ocean. Now, that said, you may not want to take the band in the water depending on which type you choose. A leather band, for instance, can dry and crack if it gets wet too much. But the Apple Band is easy enough to swap out. Of course, you can also hop in the shower with it on. The display technology is the same, and the Apple Watch Series 2 still offers Force Touch – a unique multi-touch control system. But Apple did boost the brightness for the latest model. The Series 2 is 450 nits brighter than the original, which Apple says is the “brightest screen they’ve made for any device,” even the new iPhone. It’s good news, but it does bring up a few concerns about battery life. It’s likely the screen uses more power, but we won’t know for sure until we can get our hands on the new model. It is possible the new display may be more efficient. The premium Series 2 model is protected by Sapphire crystal. The Sport Edition has ION-X glass. And if you are unsure what that is, it’s tempered or strengthened glass like Gorilla Glass. It’s much more difficult to shatter or break, and scratch-resistant, as well. Apple decided not to offer a gold-plated model this time around, but that’s okay. The Series 2 premium model has a durable ceramic case. Apple says the ceramic material is four times harder than stainless steel and scratch resistant too. As far as we know, it only comes in white. Apple upgraded the processing power of the Series 2, opting for a dual-core S2 chip that is 50% faster than the original. They also upgraded the dedicated GPU, and the new one delivers twice the graphics performance. To be honest, the original Apple Watch wasn’t hurting for more power so it’s not a necessary improvement, but it’s still good to see. You’ll be pleased to know that Apple will be manufacturing the original Apple Watch with the new processor now. If you decide to go with a last gen model, you won’t be missing out on the performance gains. Though, the original Apple Watch is not waterproof. In addition, to the new swimming metrics – thanks to the waterproof design – the Series 2 has a couple much-needed upgrades in the fitness department. It now includes built-in GPS. So, you can leave your iPhone at home and still track important stats like distance, pace, speed, and location. You’ll get much more detailed fitness data from your workouts with the Apple Watch 2. 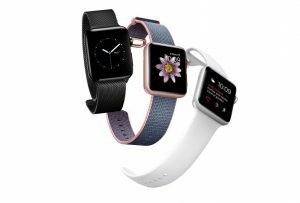 The heart-rate monitor makes a comeback too with some new software upgrades thanks to Apple’s new Watch OS rollout. The original Apple Watch had so many variations, choosing a model was confusing. That’s still the case with the new models, but it’s going to be even worse this time. 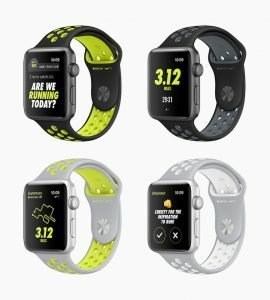 The Apple Watch Series 2 will be launching in several different styles – a few of which come from third party companies. For example, Apple and Nike teamed up for the Nike+ edition. 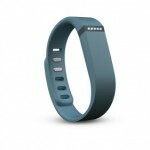 It will come in four colors, with custom watch faces and a band inspired by Nike’s SportWatch. Hermes will be offering a Double Buckle Cuff in Swift, and a unique Sport Band in orange, along with more options. And that’s not likely to be the end of it. Apple will team up with other partners too, so expect to see many more accessories and styles for the Apple Watch Series 2. 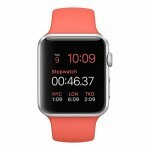 So Should I Buy the Apple Watch 2 or Not? This question is tough to answer, especially since there’s no way to know your budget, lifestyle, and preferences. 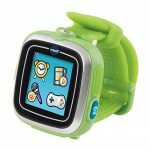 If you don’t already own the Apple Watch, and you’re considering getting one, you might as well get the new model. As for existing Apple Watch owners, it’s a tough question and always will be. You have to look at the new features and upgrades, and then decide if you think it’s worth the price. Apple’s devices are not cheap, though they certainly make up for it in quality. If you’re on a budget, there are plenty of alternatives. 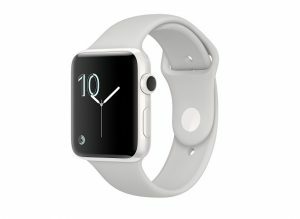 You can always buy the older Apple Watch models before they are gone too as they will be marked down. As we said already, the Apple Watch Series 2 is available to buy right now. If you want the basic model it starts at $269. If you opt for the next tier – with a stainless steel case and strap – the price can be as high as $1,099. Then there’s the Apple Watch Edition that has a ceramic case, and starts at $1,249. It is the top of the line. You can order them from Apple online, or in store. Keep in mind, some models will launch a little later, like the Nike+ Edition which won’t be available until October for $369. Buying an Apple Watch can be confusing, especially if this is your first time. Don’t worry, we’ll release a guide to help you choose the right Apple Watch 2 style – like we did for the original Watch models. Stay tuned for more information on the Apple Watch Series 2 from Smartwatches.org!